Garbage truck toys may seem like an odd gift for your kids, however, once you take a look at what the best ones have to offer, you’ll understand how much your child can benefit from them. Moreover, kids can have a ton of fun playing with these trash truck toys. There are may different kinds available though, and it can be tough finding one that’s best for your child. Do you go with an remote control truck? Or choose between a Lego and pull-back one? If you’re looking for some guidance and want to discover more about what the best garbage truck toys have to offer, you’ll want to read our review and check out our buyers guide at the end! 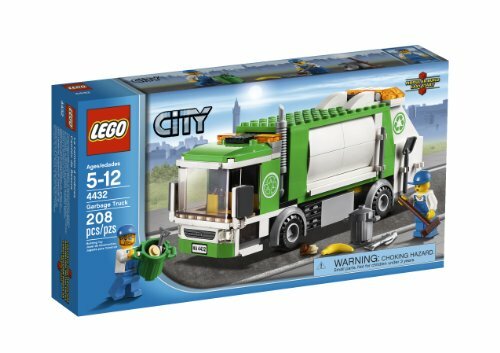 Lego’s Garbage Truck toy comes with a range of pieces that kids have a blast using to assemble the toy. While following the instructions and building this toy, your little one’s motor skills and hand-eye coordination are able to develop. Their problem-solving abilities may also come into play if they ever get a little stuck. We also liked how they’ve included 2 mini figure toys as well. Kids love using them to play with the set imaginatively. Furthermore, there are a coupe of trash bins, as well as pretend fish and banana peel that kids can use as trash. In addition to this, they’ve included a toy brush and shovel which children love using to play creatively with. 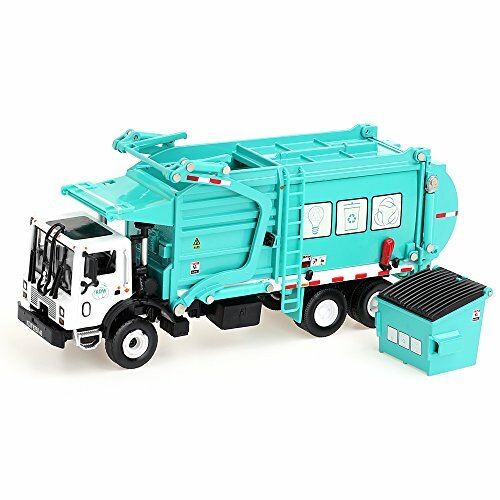 This garbage truck set allows children to develop their coordination and motor skills, while being more creative. Kids have been surprised to find that the hood of this garbage truck toy can be opened. Inside, they can find the engine which makes for a more exciting playing experience to keep kids entertained. We also liked how the mirrors can be folded out and the doors can be opened. In addition to this, the tires have been designed to have tread on them. These are excellent realistic features. Due to these realistic aspects, kids feel encouraged to play with the toy in more imaginative ways. As a result, their creative thinking skills are able to develop well. 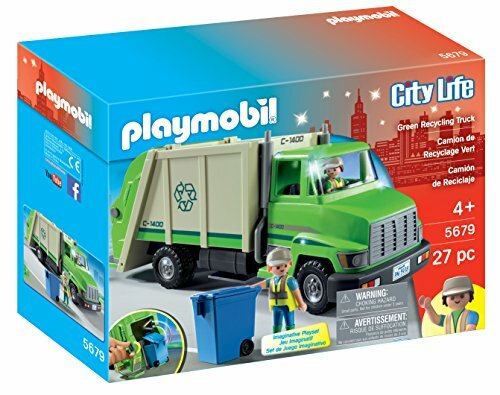 Kids have been having a lot of fun with this garbage truck toy because of the realistic features that it has been designed with. Their creative play abilities are able to improve too. This is another awesome Lego truck that kids have been having a lot of fun with. Building the set is an awesome way for your little one to develop their motor skills and hand-eye coordination. We liked how they have included 2 mini figure toys for kids to play with too. In addition to this, there is a broom and shovel, as well as a banana and fish that kids can use as pretend garbage. As a result, you can be sure that your child is provided with plenty of things to play with in creative ways. We were also impressed with hot there’s a working lift feature available too. This makes the playing experience more fun and interactive for children. The functioning lift is a feature that kids have been having a ton of fun with. With the mini figures available, kids can also play with a lot of creativity. 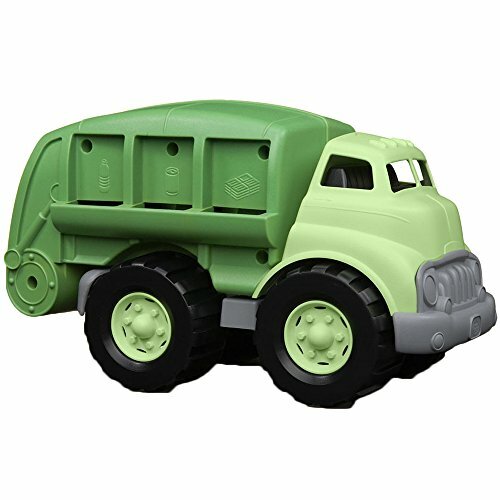 We liked how this Bruder Man Garbage Truck has been constructed using high-quality plastic materials. This ensures that your little one is able to play with it for years without it breaking. These materials are also safe for children to play with. Your little one is able to use this toy both indoors and outdoors, which provides them with the freedom to play with it however they like. The doors can be opened and closed and the mirrors can be folded inwards and outwards. These are excellent realistic features that allow kids to use the toy to play in more creative ways. The realistic features make this toy more interactive for kids to play with and inspires them to use to play in more imaginative ways. 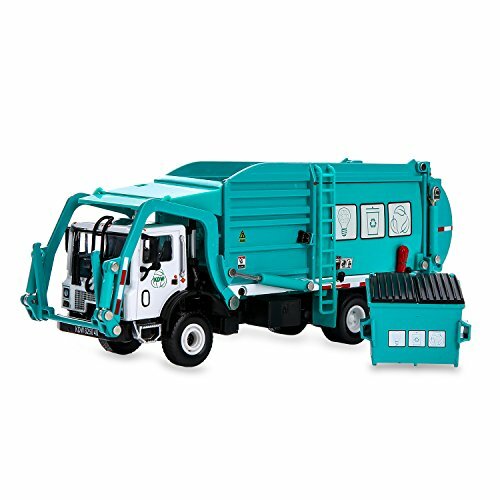 If your little one is a fan of Transformers, they will have a ton of fun playing with this Voyager Garbage Truck. We were impressed with how it has been designed to look just like the character from the animated series. This inspires kids to use it to play in more imaginative ways. They can recreate their favorite scenes and make up scenarios of their own. As a result, their creative thinking skills are able to improve greatly. 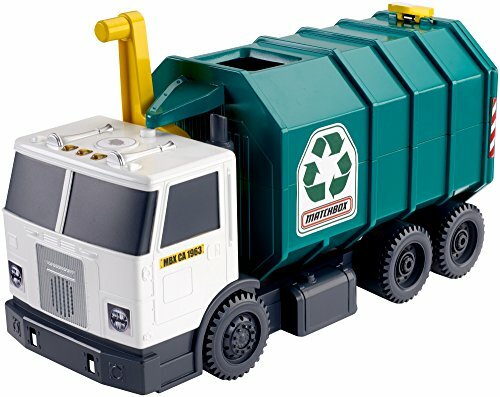 Kids can turn and twist the various pieces on this toy to turn it from a transformer into a garbage truck and back. This is a very hands-on approach to playing that develops your child’s motor skills and hand-eye coordination. The fantastic design of this toy helps kids to use it to play in more creative ways. Their motor skills and coordination are also able to develop well. This garbage truck toy is another fantastic choice for children who love Transformers. We were impressed with how they have used high-quality metal die cast materials to construct this one. This provides it with a lot of durability to ensure that your little one can play with it for years to come. It has also been designed with a lot of awesome details that provide it with a great visual appeal. As a result, children feel encouraged to use it to play in more imaginative ways, which is great for their creative thinking skills. It also involves a hands-on playing experience, which develops your child’s motor skills and hand-eye coordination. 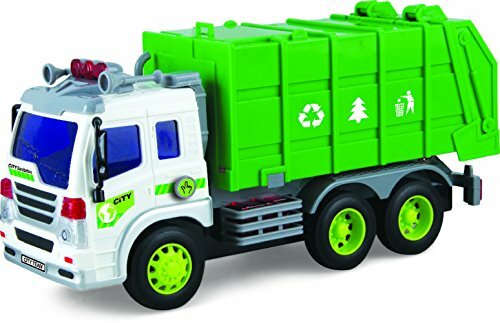 The attention to detail that has gone into making this garbage truck toy look amazing allows kids to use it to play in super imaginative ways. Children have been appreciating the amount of detail that has gone into making this Waste Management Truck. Die-cast materials have been used which allows them to make it with a fantastic design. The hood can be opened to let kids see the realistic engine. Furthermore, the inside of the cab looks real and there are trash bins available as well. These realistic features make the playing experience more immersive for kids. They also help them to learn how to play with more creativity. They can role play what they may have seen garbage trucks do before and make up their own little games. Your little one’s motor skills and hand-eye coordination can also improve due to the hands-on approach to playing that’s available with this one. This is an excellent garbage truck that kids love using to play creatively due to the realistic design features. 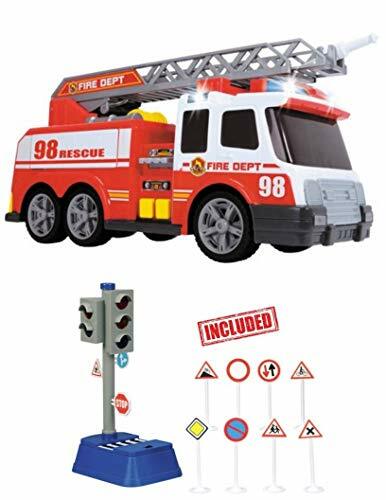 Children have a lot of fun using their hands to push this truck toy backwards and forwards. It’s a fantastic hands-on playing experience that’s effective for developing your little one’s motor skills and hand-eye coordination. We were also impressed with how they can push a lever and listen to the sound effects that the toy makes. These sound effects are incredibly realistic which makes for a more interactive playing experience. Your child’s auditory learning senses are able to benefit from this. Not to mention, it can encourage children to want to use the toy to play in more imaginative ways to improve their creative thinking skills. The sound effects available with this set are great for helping kids to improve their auditory learning senses and play with more imagination. We were impressed with how kids can use this garbage truck toy and involve everything that’s around them. This is because it can be used to pick up a range of different items that may be laying around. This could include small clothing items or other toys. As a result, it can be a more exciting way to encourage your little one to tidy up their room. There are also a range of light and sound effects available. These make the playing experience more exciting and improves your child’s visual and auditory learning senses. These effects also inspire young kids to be more imaginative with how they play. This is fantastic toy that helps children to clean their rooms in a more exciting way due to the light and sound effects. 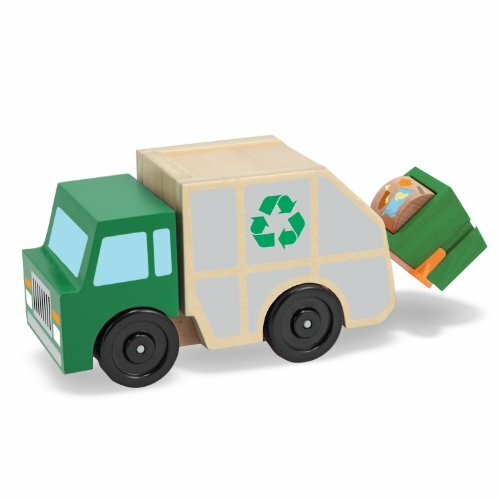 Melissa & Doug’s Garbage Truck toy has been made with high-quality wooden materials. Therefore, you can be sure that it’s safe for your child to play with. These materials are also durable. Children have been loving how they can use their hands to roll this garbage truck toy around to keep themselves entertained for hours. This method of playing is awesome for your little one’s motor skills and hand-eye coordination. Not to mention, there’s a back arm lift available that can be operated by hand. This is a more interactive feature that encourages children to play with more imagination. As a result, their creative thinking skills are able to benefit. The wooden materials used with this one are durable and safe for kids. They have a blast using the lever and pushing this truck around to play creatively for hours too. 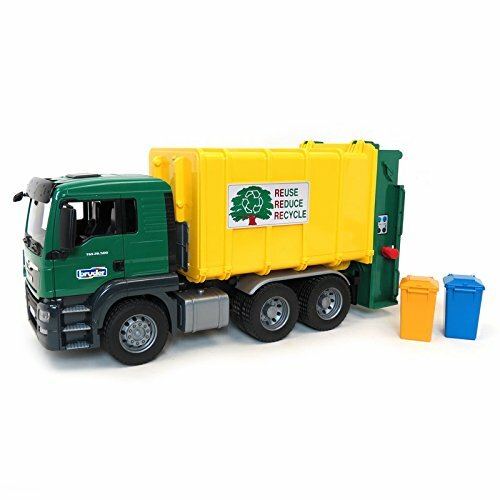 Children have a blast playing with this recycling truck toy as it comes with a range of mini figures that have arms and legs that can be moved around. Kids can also choose to make them sit or stand. This allows your little one to use the set to play with a lot of imagination. As a result, their creative thinking skills are able to flourish. In addition to this, it involves a hands-on approach to playing. Therefore, you can expect your child’s motor skills and hand-eye coordination to develop incredibly well. They can pick up the recyclable accessories available and empty them out, which they find incredibly exciting. The mini figures and recyclable accessories included keep kids entertained for hours and let them be super creative. We liked how this Air Pump Garbage Truck comes with a pneumatic air pump. This enables children to use it to lower and lift up the container whenever they like. This is a pretty unique feature for these kinds of toys. All your child has to do is press the red button that’s available on top of the truck toy. This causes the container to lift up. They can then use the lever to lower it back down. Kids have a blast using this feature to play for hours on end. Pressing the button can also be a more exciting way for them to develop their motor skills. In addition to this, it’s an effective way to teach your little one more about how cause and effect works. Kids have a blast pressing the button on this toy and watching how the air pump lifts up the container and puts it back down. The remote that comes with this Garbage Truck toy features 4 channels to ensure that your child is always able to get a strong signal to have total control over their toy. They can use to turn it in all directions to be more free with how they play. We were also impressed with how there’s a crane jib available as it can rotate 180-degrees, while moving up and down. This is an incredibly fun feature that challenges kids to develop their motor skills and hand-eye coordination while using the remote. Moreover, there’s an excellent feature that turns on the headlight on the crane. This makes the experience more exciting and stimulates your little one’s visual learning senses. We found this to be a great option for kids who are beginners to RC toys. Kids have been loving how they can use the remote to have precise control over this toy. It’s a fantastic choice for beginners and is effective at developing your child’s motor skills and coordination. With a toy driver available, as well as 2 garbage bins, kids are provided with a number of items to implement into their pretend play scenarios. 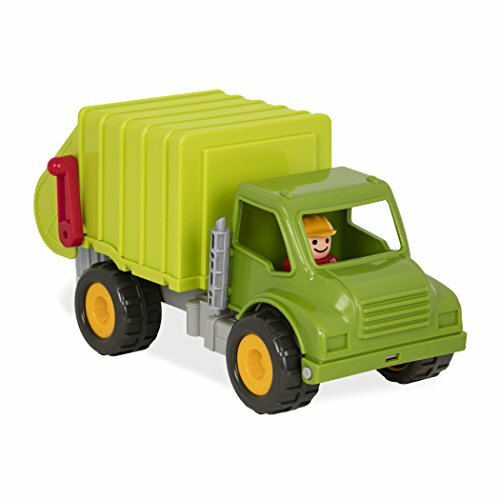 As a result, this truck toy is great for your little one’s creative thinking skills. We were also impressed with how there it a hatch that can be opened and closed. It’s an interactive feature that kids have fun using while they play. I addition to this, the design of this truck has a lot of detail. The wheels have been using high-quality rubber materials. Therefore, kids have an easy time rolling it across different surfaces. This hands-on playing experience is great for your child’s motor skills and hand-eye coordination. Kids have been having fun using this truck to play imaginatively for hours while improving their coordination and motor skills. 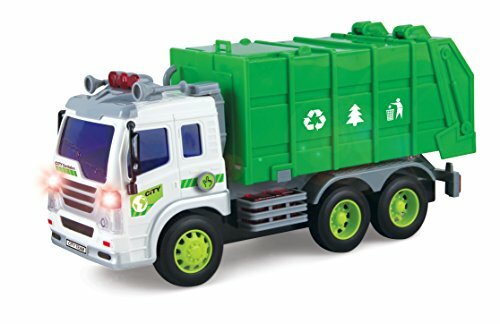 This truck toy can be used as a more fun way to teach your children about recycling by learning about how to sort different bottles, paper, and cans. It has also been made using materials that are green are free from toxins. There are 3 different chutes available that kids can use to put specific kinds of items down. This is one of the best features that makes it an educational toy for kids. The hands-on approach to playing is great for your child’s motor skills and hand-eye coordination. Using the truck to play is also a fun way to encourage your little one to learn how to use their imagination while playing. As a result, it can be awesome for improving their creative thinking processes. This is a great toy that teaches kids about the importance of recycling, while also ensuring that they can use their creative thinking skills to have fun. Little children have been loving how this toy comes with a range of light and sound effects. They can activate them by pressing a button, which makes the toy super exciting to play with. Their visual and auditory learning senses are able to develop greatly as a result. In addition to this, there are realistic features available too. Kids can press a button to lift the back of the truck up to tip out any garbage. These realistic features help kids to use the toy to play in more creative ways. There’s also a pull-back feature which lets children pull the toy back and watch how it rolls forwards. It’s a fun feature that also develops your little one’s motor skills and hand-eye coordination. The realistic tipping feature, as well as the light and sound effects, make this toy incredibly exciting for kids to play with and use their creativity. We liked how this toy comes with a pull-back feature that lets kids pull it back and watch how it moves forward. It’s a fun way for them to play with the truck and it’s great for their motor skills and hand-eye coordination. Furthermore, we were impressed with how it comes with a range of light and sound effects. These can be easily activated by pressing a button. Your little one’s visual and auditory learning senses are able to benefit greatly from this. In addition to this, children are able to keep themselves occupied for hours on end due to all of these fun features. You can also expect their creative thinking skills to improve while coming up with different ways to use the toy in their pretend play games. Children have been having a ton of fun with the light and sound effects, as well as the pull-back feature. This toy is great for your child’s imaginative play abilities. That brings our review of what the top garbage trucks for kids have to offer. You can now begin to narrow down your search to find that one that you think your little one would enjoy playing with the most. However, if you were interested to learn more about the different types of garbage trucks, the different brands that make them, as well as what options are available for girls, you’ll want to quickly check out this buyers guide. 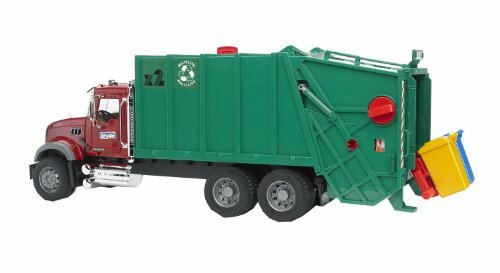 After reading through the reviews above, you will have noticed that there are a number of different kinds of trash truck toys available. To gain a better understanding of what makes them different from one another, take a look at the section below. 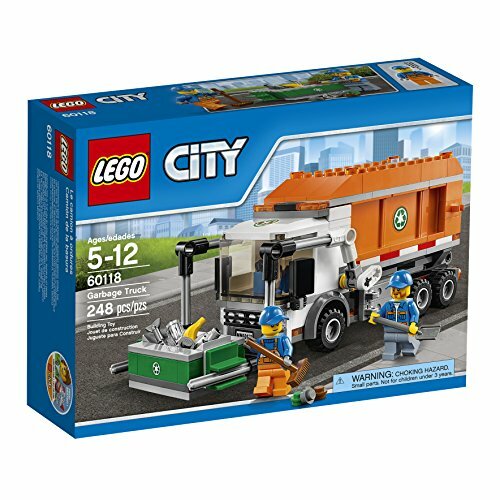 The Lego garbage truck options that are available are fantastic for younger kids to be involved in a project that they can play with afterward. Building the toy is awesome for your child’s motor skills and hand-eye coordination. While they follow the instructions, their problem-solving abilities are provided with a fantastic opportunity to develop. In addition to this, they have a blast using the toy to play creatively for hours afterward. 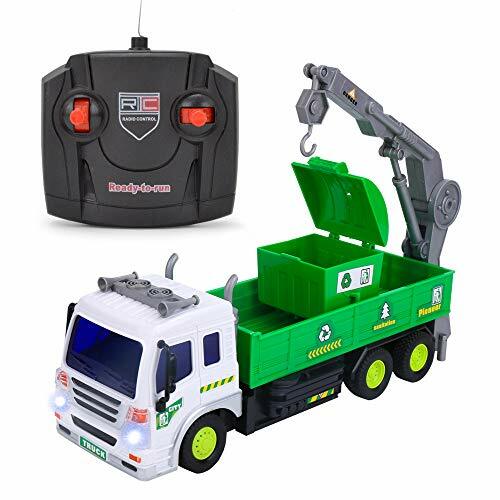 Remote control garbage trucks are a great option for children who haven’t played with RC toys before. This is because the garbage truck toys tend to have a slower speed which is easier for kids to control. Their motor skills and hand-eye coordination are also able to develop while using the remote too. Plush rubbish trucks are awesome for toddlers and babies. This is because these kinds of toys have been made with incredibly soft materials that make it easier for younger kids to hold onto and play with. They may be able to recognize that they’re garbage trucks and use them to play in imaginative ways. So, trash trucks for toddlers can be great for stimulating your child’s creative thinking processes from a young age. There are some garbage truck options that have a motorized lifting feature. These can be activated by pressing a button and watching how things are lifted and put back down. Kids have a blast with these features and it keeps them entertained for hours on end. 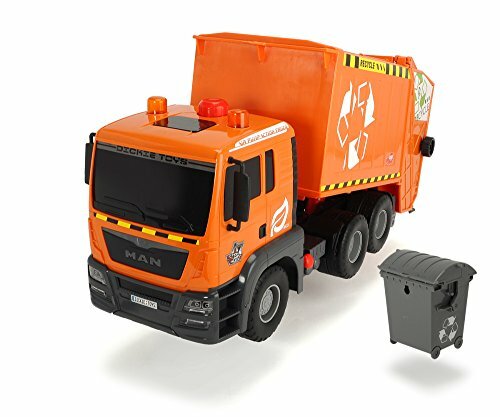 There is a range of awesome brands that manufacture these trash trucks for kids. If you wanted to learn a little more about these brands, this is the section for you. Bruder are a fantastic company that are known for creating toys that allow kids to have a ton of fun. We liked how their toys have been designed to look incredibly realistic as it allows kids to implement the toys into their pretend play scenarios. As a result, they’re able to utilize their creative thinking skills to play imaginatively for hours on end. Furthermore, the company understands the importance of hands-on playing experiences. So, your little one is able to develop their motor skills and coordination while playing with this brand’s toys. Lego is one of the most popular toy companies that’s out there. They have gained an incredible reputation for themselves over the years due to the incredibly wide range of toys that they have to offer. Kids have an absolute blast being able to build their toys and play with them creatively for hours after. The building process is effective for developing your child’s coordination and motor skills, while also improving their problem-solving abilities. If your little one loves to watch the Transformers animated shows and movies, you can be sure that they’ll have fun playing with the Hasbro toys that are on offer. 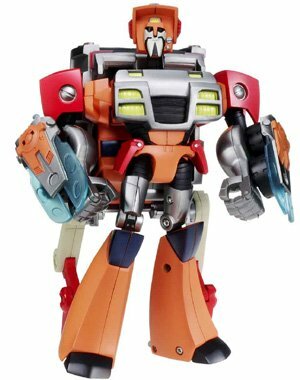 Kids can implement their Transformer toys into their own made up games, or recreate their favorite scenes. Either way, this brand makes toys that enhance children’s ability to think and play with more creativity. Dickie Toys is an awesome brand that manufactures a range of toys that include boats, cars, trucks, and planes. We liked how they design their toys to look realistic as it makes for a more immersive playing experience for kids. Their toys are also great for different age ranges as they can help kids with the different stages of development that they experience as they grow up. Are you looking for a truck toy that your little girl can play with? If so, you’ll want to find the options that have been made with pink and purple colors. This is because these designs are more exciting and appealing for your daughter to play with. So, that concludes our review of what the top trash trucks for children have to offer. Make sure that you read through the main features, pros, cons, age recommendations, and what makes each one stand out. It’s also a good idea to refer to our buyers guide if you weren’t feeling completely certain on which one to choose after reading through the reviews. Hopefully, everything you need to make the best choice possible can be found in our post!